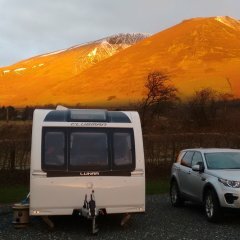 Recently bought our first coachman, the wanderer lux 2017 (580 vision). Had it in storage for two weeks and the battery is flat. Beginners question, does the battery automatically charge when plugged into the mains or do I need to flick a switch anywhere to charge? How long will it take to get enough charge to use the motor mover? The battery should charge automatically when the ehu is connected. The bad news is that if it is an old battery that came with the van it is likely dead rather than flat. Give it 24 hours on charge, initially, and see how it goes. Interests:Hill walking. Foreign travel. Citroen A series cars. Towcar:VW B8 Passat Alltrack 2. 0L TDI 6 Speed manual. Caravan:Coachman Vision 450/2 ( towing at about 77% ). You will need to switch ON the consumer unit inside the 'van and check that the relevant circuit breakers are set to ON. As Stevan says, if the battery is old, it may be dead. When I've traded in a 'van, I've always removed my battery. Whoever traded in your Wanderer probably left the battery in because it was 'tired'.